Happy Friday! 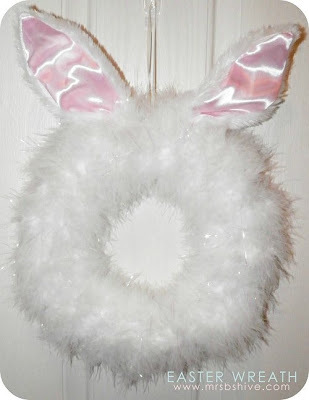 With it only being 2 days before Easter, I figured its about time to show a couple of the easy crafts I did for the holiday. Remember this pic from last year? and thought that was a perfect use for it! 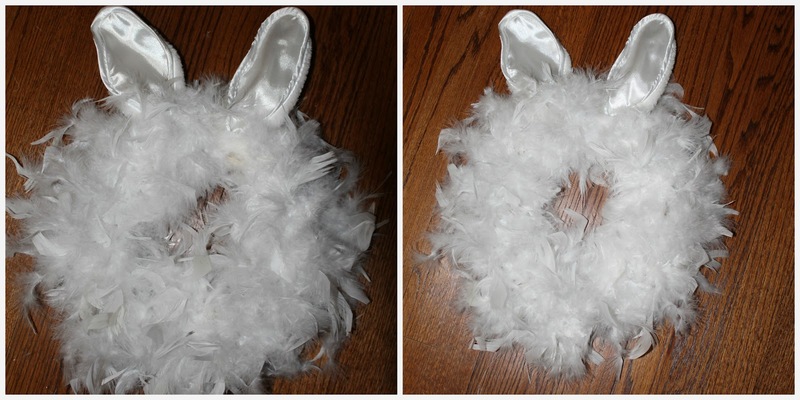 While putting an Amazon order together, I threw two of these white feather boas into my cart and picked up a white wreath form from Michaels on one of my many trips. 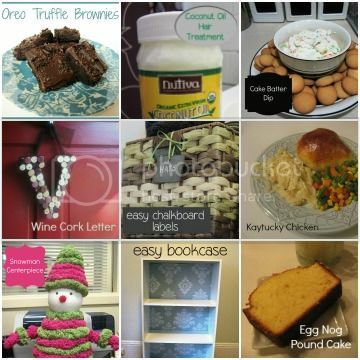 Please forgive the lighting in these pics, it was an "after the baby goes to bed" project. First problem - the wreath was just too big. I started wrapping the boa around it, but when only using one, I could see some of the styrofoam. See (look at the bottom right side and you can see the foam)? Two boas would have been out of control with the feathers so I put the whole thing aside until I could figure something else out. A couple days later while straightening out my craft closet, I came upon a left over embroidery hoop from the project in JJ's room (also in this post). After all that, I was left with a rather fat looking wreath. I decided to give it a little haircut so you could see a little more of the middle and make it a little "tighter". Before and after the "haircut"
It makes me smile every time I pull into the driveway. 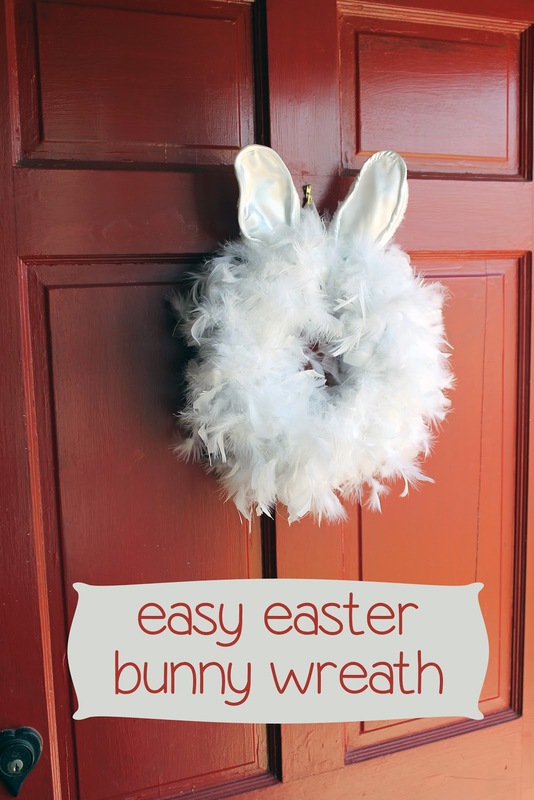 My next, even easier Easter related craft was updating my mantle with a new printable from those talented ladies at eighteen 25. Apparently this pastel version is new for this year, but I must have never printed one out last year because what I had in my frame went from St. Patrick's Day to the 4th of July! Here it is up on my mantle. Along with a jar of jelly beans (which has been refilled 3 times) and a little stuffed Cadbury Bunny (not sure where that came from, but when you squeeze it he makes the little bunny noise - remember these commercials?). Please forgive the dirty looking mirror - I swear its just Windex streaks! Shannon and I hope everyone has a wonderful Easter (and Passover for those of you who celebrated that this week)! 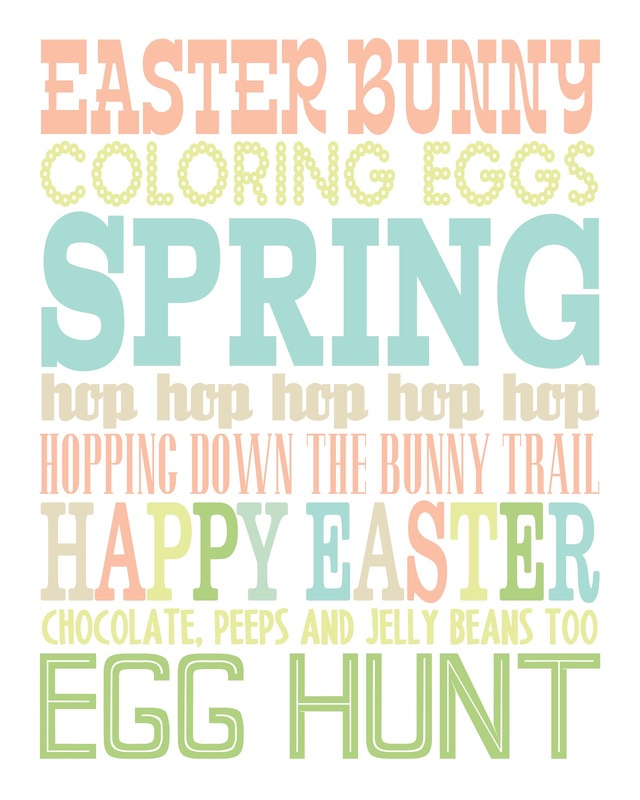 Hopefully the bunny can bring us some sunshine and warmth on the East Coast - we have had way too much snow and dreary weather. 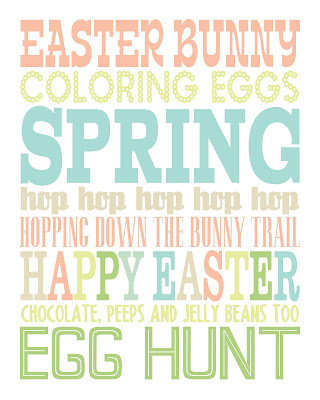 I will be back next week with a little Easter recap - I am attempting some creative baking so wish me luck!